the construction schedule. When these types of problems occur, the design team should issue a construction bulletin. The bulletin may suggest design changes shown on sketches and issue instructions for subs (subcontractors) and suppliers. Project Managers should request pricing from the subcontractors involved. One thing to remember, a bulletin change can often result in extension to the project schedule. As a project manager, submitting or accepting change orders approved by the owner is a normal part of business. The keyword in that sentence is “approved”. Beginning project change work without approval is just asking for trouble and can often result in lost time and money. Making sure that your team never begins work on project changes until the changes have been approved will save you a headache later down the line. The #1 resource for anyone wanting to forward their career in the construction trades. Online courses offered in Construction, Architecture, Electrical, and Real Estate. One of the most important responsibilities for the estimator and project manager is to select the best qualified subs and suppliers for your project. Make sure they are qualified to perform the work in accordance with your expectations, and that they are financially able to do so. If a subcontractor or supplier goes out of business part way through your project, your budget and schedule will suffer! Before making any commitments, it’s a good practice to ask for at least three references from the most recent projects in which they were involved. Field inspections will occur on your project as the project is under construction for various trades. Your building department, electrical and mechanical departments may require several inspections while your project is under construction. These inspectors may visit your project multiple times as the project develops. It is very important to schedule your inspections in advance in order to keep your project flowing! For example, the electrical inspector may require a visual inspection on rough wiring before the insulator is allowed to cover the wall cavities with insulation. This may mean waiting three to five days for him/her to show-up on site, and delaying work and extending the schedule. 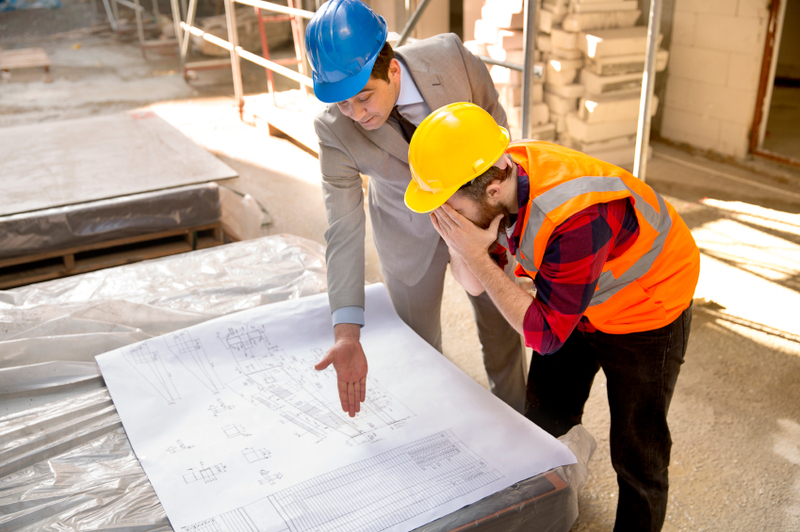 Project managers should always be wary of subcontractors billing for labor before their work is complete. If you find that a subcontractor has billed for 75% of their labor and you feel that they will only be 40% complete with their work at the end of this billing cycle, you should contact them and request to have them resubmit their pay application, corrected to your satisfaction. Letting them bill too far in advance can be dangerous. If a subcontractor has collected most of his/her money before they have completed their work, you might find it difficult having them respond to your calls when you need them back to finish.